After our first two days of school we had Friday off. There were a few of our students who had appointments in Kampala today, and the siblings often go along too. Rather than having over half of our students absent, we decided to just adjust our school schedule. Since we did not have school we thought it might be fun to go to Jinja to the annual Agricultural Expo. I was curious what it would be like, and we heard that the Entebbe Zoo had brought some animals. As we began walking toward the "fairgrounds", I realized that this would be a bit of a crazy experience. There were so many people everywhere trying to sell everything imaginable that is available here in Uganda, clothes, jewelry, pirated DVDs, chickens, braziers, pineapple, fried grasshoppers, photos, crafts, quail eggs, and more. And they all tried to get our children to take their items so that we would have to buy them. As we walked around the Expo we saw many exhibits about ways to grow crops, and even 2 oxen yoked together pulling a plow! The reference about being unequally yoked makes a lot more sense when you actually see yoked oxen pulling the plow. I should have taken that photo, but I didn't. Sorry. It is interesting that much of the farming here is done the same way it was done in Israel 2000 years ago. When we arrived at the Zoo exhibit we entered with many school children. 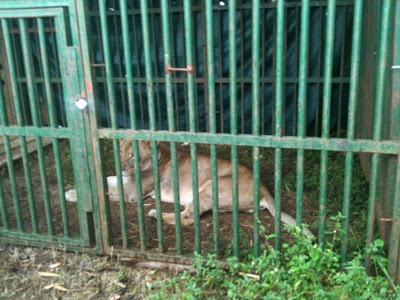 The animals were brought in cages, although where they live at the Wildlife Conservation Center, they do have larger enclosures. 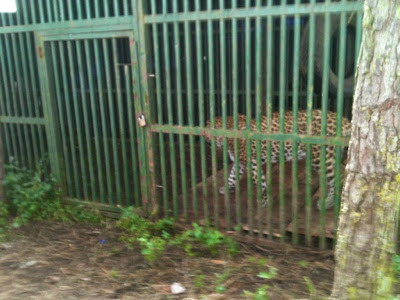 The first animal we saw was a leopard! Here it is pronounced "lay-o-pard." It was pacing in its cage, and was fascinating to watch. There was also a servile cat, a crested crane, a peacock, a leopard tortise, 2 gray parrots, an ostrich, an enormous rock python and a lion! It was exciting to see all these different animals. After we left the area with animals, we were walking along very crowded paths trying to keep tabs on all our children. In order to simplify this task, David carried Zeke on his shoulders. At one point when we stopped to look at some quail, David noticed that his phone was missing. He retraced his steps, but to no avail. We spoke with the police officers there who suggested we go to the central police station in order to make a report. There is a slight possibility that if they do not remove the SIM card, it could be tracked. It seems like the chances of that are pretty slim. While we had a good time at the Agricultural Expo, having David's phone stolen put a bit of a damper on the time. When we returned to GSF we heard from other missionaries that many people have had things stolen at this annual expo. It is apparently a place where thieves congregate since there are such large crowds.